Thanks to CMS panel on websites created in website builder WebWave you can modify website content, images and more. You can also add text files, pdf, mp3 etc. and allow users to download them. In website builder WebWave select a text element and in the text edition panel go to"media library". In media library click on "Select files". After successful transfer, select the file and copy its URL address. Close media library. On the text element, select an image or a part of a text and in text edition panel click on paperclip (link) icon. In a new window paste previously copied URL address. 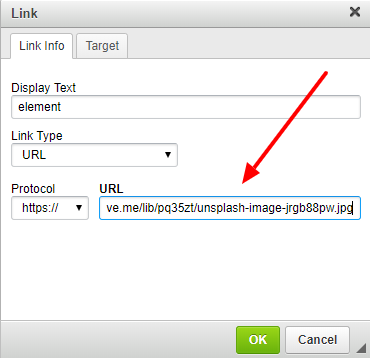 Now, whenever a user clicks on a "linked" element, he will start downloading your file. Keep in mind that in WebWave web design software you can add URL addresses of websites on another server, not only WebWave CMS.